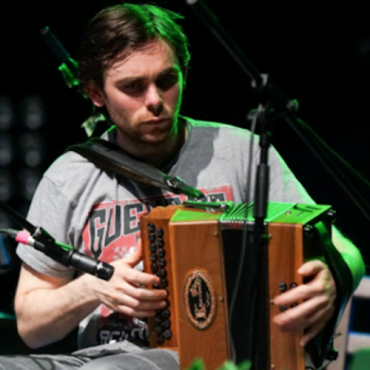 All-Ireland champion accordionist Dáire Mulhern, from Ennis, Co. Clare, is a musician of high calibre who has toured both Europe and America extensively with Comhaltas Ceoltoiri Eireann and other traditional Irish dance shows and bands. 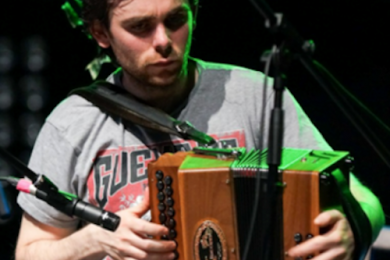 He completed his degree in music at Limerick Institute of Technology where he specialised in composition and music technology; He had a composition of his recorded by leading Irish band ‘Beoga’ on their album ‘The Incident’ . He is also a respected teacher in the Munster region of Ireland with his students frequently attaining All-Ireland titles at the annual Fleadh Cheoil na hÉireann.